Computer Stitch Designs Inc. was established in 1987. 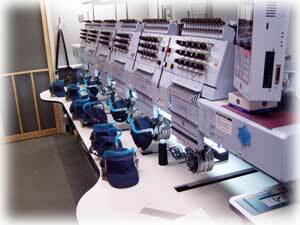 We are a full service custom embroidery company. We start with digitizing your logo or graphic and create a new embroidery file to sew onto any item imaginable. We give personal attention to every order by doing all the embroidery in-house. By doing this, we can ensure accuracy and timely delivery of your product. So if you or someone you know is in need of embroidery or silk screening you can feel confident calling on Computer Stitch Designs. What do you think of when you think Embroidered Shirts? Please feel free to browse around our site as we know you will find our services second to none!